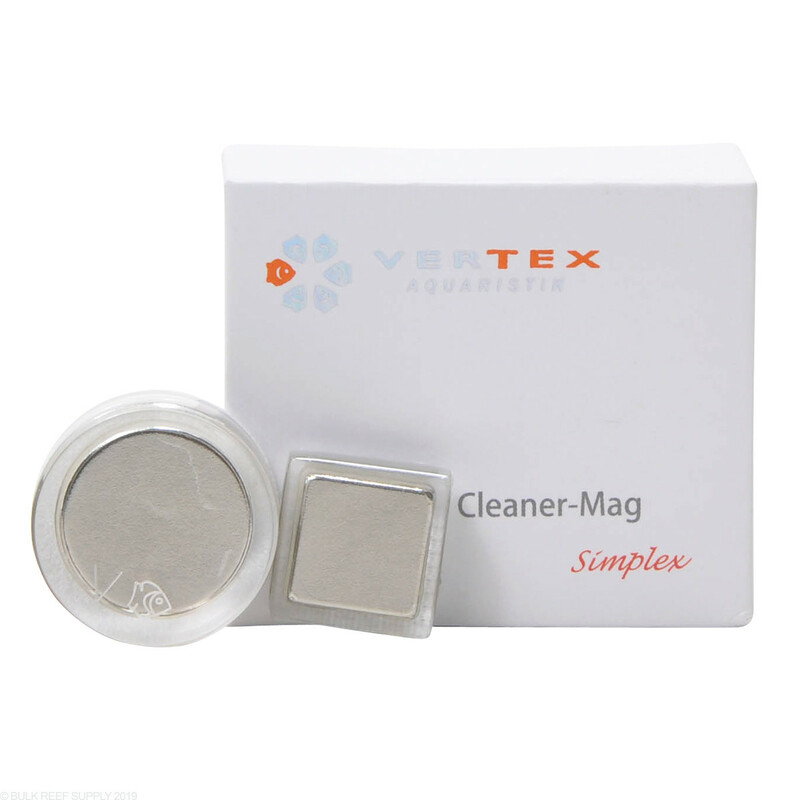 Vertex Cleaner-Mag Simplex is a single magnetic cleaner designed for small and nano tanks. The outer magnet is sealed in clear acrylic that gives a stylish and modern aesthetic while keeping the magnet from corroding. 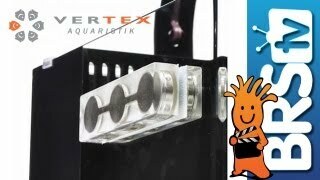 The inner portion also uses the same sealing method with clear acrylic but also has a cleaning pad that works great at removing stubborn spots of algae and other build-up from aquariums glass. Cleaning Surface Magnet - 3/4 x 3/4"
Outer Magnet Diameter - 1"
Great design and quality you can see and feel. I used them on my nano tank in places other scrapers couldn't get. Now I have a large tank and I bought more to use them to clip my Nori then I toss them to the bottom of my tank. The magnetic nature of these hold the nori very well, and are easy to remove as they attach themselves to any net or coated metal rod I gather them with. They are hardly noticed at the sand level when they are empty, and are appealing to the eye of noticed. The weight of them hold larg amounts of nori in one place as fish tug at them. The Vertex Cleaner-Mag is a decent product. Nice and small for nano reefs and reefs that have rocks close to the glass. My only complaint, like others, is that the magnet is a bit weak compared to other products I have used. Two Little Fishes makes a product similar to this and its much stronger. I have both the Vortex Simples and the Vortex Duplex. The Duplex is at least twice as strong and not all that much larger. (They are equal in thickness.) If I were to buy just pone, it would be the Duplex, hands down. 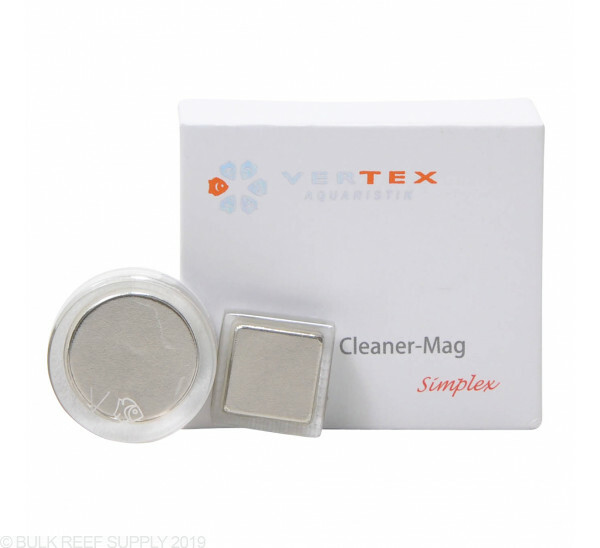 I have been using the Vertex Simplex magnet for about a week on my IM Nuvo Fusion 10G tank and I love it way more than my previous magnet cleaner, which was a magfloat mini. The Simplex is way stronger, cleans better and it's much smaller and sleeker! I recommend it! This magnet is strong for its size and is great at getting in tight spots. Simple clean look and has a good abrasive pad. Love this magnet--very small, simple, unobtrusive in my Nuvo 8. I love how thin it is--makes it possible to get past rocks that are very close to the glass. 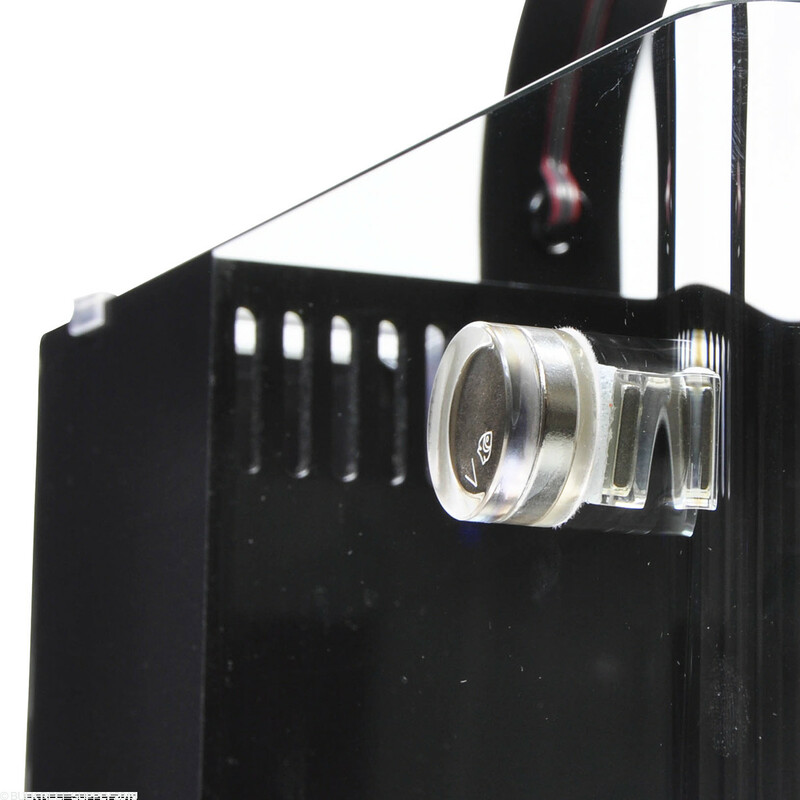 Also, it removed the algae from the curved corner glass, a huge plus. The magnet doesn't float, but thus far I haven't had any problems with the scraper side detaching/falling into the sand. The size was fine for my tank, but I wouldn't use this magnet on any tank bigger than 8-10 gallons. It removes algae pretty well, but don't slack off on cleaning, as this cleaner is not really designed to handle coralline or similar. The first scraping (I set up my nano a month and a half ago and didn't get a scraper until now) took a while, but I don't anticipate that future cleanings will be as difficult as long as I scrape the glass once a week. It's a great looking little magnet cleaner and should only be used on smaller nano tanks (less than 10g). It's leaps and bounds better than the Two Little Fishies NanoMag because of the aesthetics and the fact that the acrylic encasing is going to last much longer than cheap feeling foam stuff on the NanoMag. If you have a tank over 6 or 7 gallons, I would definitely recommend the Duplex over the Simplex though. This is perfect for my little 3g Pico but you can tell it would be lacking in anything much larger. Just got this cleaner today & I am super happy with the results. It works great in my 7.5 gallon bow front nano tank to get in the small spaces & even better on the bow front I will definitely be using this until I wear it out. This is great for getting into the little crevices that you might not otherwise be able to clean. However, the magnet is really weak so it doesn't do well on hard to scrub algae - or you have to go over the same spot 400 times. I just received my Mag Simplex and I am very impressed with the quality of the material and the low profile inside cleaner is a huge plus for a nano tank. I'm using it on my 1.5 gallon. What I did not like was the fact that it's hard to rotate the inside cleaner. There is a round magnet on a square magnet. So rotating to get into corners is a little tricky but I'd buy it again if I had to.